The late afternoon sun shines through the windows while the rhythmic sounds of waves breaking lull my tired mind into repose. How soothing is the sunlight fractured into shafts of sparking light shining through the old oaks and around the tall windswept pines on this barrier island. I am at peace, at least for this moment in time. Life has never been easy for me, a struggle from birth to live in a world often turning upside down. Beaten and battered by love gone wrong, situations beyond my understanding and wounds deeply carved into the secret places in my heart, I look to God for help in my distress. My prayers wobble and repeat in unfathomable sighs and whispers as I seek His solace and love. And, He answers my prayers, often in ways that do not conform to the ways of the world where we search for concrete, logical answers and direction. So, that is how my grieving and scattered brain focused on “the table”. Yes, that older, weathered looking table. The one with knot hole in the bottom shelf, and worn, rough wood pieced together for the top, a beautifully hand-crafted example of skillful carpentry. I sit and ponder “the table” as I wait for the Lord. My cries have stilled and my tears are wiped away as I have become quiet and calm in the aftermath of my hysterical response to the latest event in this chaotic existence. And I ponder “the table,” steady, reliable, sturdy. Looking closely, I notice the nails aren’t what I perceive as nails but small pegs carved from wood pieces fitting perfectly into the joints that hold the table together, and I think about the age of this now interesting table. Could it be I have misjudged this table? How like the table am I today. Broken, stained with sorrow and regret, am I still useful to the Lord? Like me, the table began as a tiny seed growing slowly in the earth through wind and rain, sunshine and night, emerging into what would one day be a huge tree. A tree where birds could build their nests and find refuge from the numerous storms blown in by the vast ocean. And the squirrels, jumping from limb to limb in their exuberant quest for acorns and life, surviving the squalls of island existence. Years would pass until that fateful day when the tree was felled to the ground, by plan or nature we will never know. Harvested for many purposes, the most interesting to me today is its ultimate formation into the table, standing securely before me. But the wood has grown old and stained, buckling a little here, fracturing over there, rough edges that once were smooth and straight now misshaped and bent. In all the using, aging, moving and repositioning the wood has held to its purpose day in and day out, never failing in the reason it was created, eventually fashioned into a small table, an altar, and table upon which the Body and Blood of Christ are remembered and celebrated, touched by holy hands, reverently placing the cloth, the chalice and plate in preparation for the Eucharist service. If the table could talk what would it say? Would it grumble and find fault with it’s changing and aging form? Would it sulk and cry about it’s past use, those glorious days of youth and hope? I think not. Only we humans were created with the ability to reason, to think and imagine, to plan and build, to know and worship our God spiritually, emotionally, and physically. Only we humans have the ability to chose our responses. 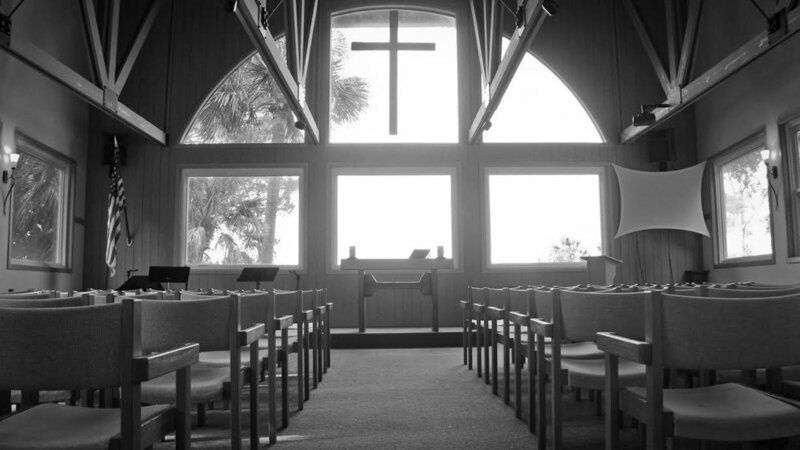 “The Table” is a compilation of many Tuesdays in the Prayer Center at St. Christopher’s Camp and Conference Center on Seabrook Island, SC. Every Tuesday afternoon, beginning at 12:30pm and ending when all have received prayer and ministry, Fr. Rob Kunes leads the Healing Service in the Prayer Center. It is in the midst of praying for others and receiving prayer myself that this healing process has accelerated, and I am blessed beyond words in expressing my thanksgiving. In my healing journey, the Lord has taken me through many twists and turns, many seasons of His grace and love. To have experienced profound healing in such a setting has been and continues to be such a joy and privilege. Each Tuesday as I drive through the gates onto the blessed and holy St. Christopher land, I am reminded of Jesus’ call to fellowship with other believers. A more beautiful place to join in fellowship, worship, and prayer would be difficult to imagine, so “thank you” to each person who works to provide such a place as this. May the Lord bless you abundantly, in ways unexpected, delightful and overflowing with His love and peace. The Healing Service is open to all in need of prayer. The guards at the Seabrook Island gate will provide a pass. Carol Conway is a licensed Social Worker who specializes in Grief counseling at Life Resources. Learn more about her here. Article previously published in the April 2018 edition of The Carolina Compass.